The project became possible with the support of the international conservation organization Wildfowl & Wetland Trust (WWT). 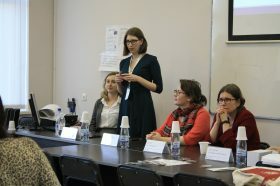 The performing team included EthnoExpert specialists and the employee of the Institute of Environmental Problems of the North of the Ural Branch of the Russian Academy of Sciences. The study was devoted to the problem of restoring migratory birds’ population that stays in the Arkhangelsk region and the Nenets Autonomous District during certain seasons. One of the main reasons for the birds’ population decline in numbers was the unregulated hunting (including the non-compliance of the local population with hunting rules). These problems were studied using the example of illegal hunting for Bewick’s swan. 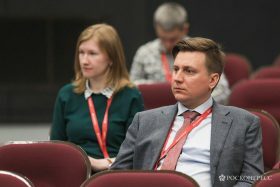 Researchers analyzed the international and Russian hunting legal regulation experience and the state of migratory birds’ population. They gathered project materials using the interviewing technique. At the first stage (2015), there were 27 expert interviews with Russian, Nenets, and Komi people, among those residents of the Kaninsk Village Council of the Nenets Autonomous District. In addition, scientists conducted short interviews and used focus groups. The total number of respondents was 50 people, including hunters, local residents, administration officials, tourism business representatives, and teachers. 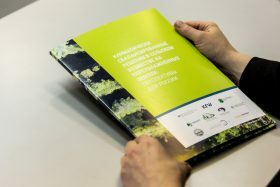 At the second stage (2016), the territory of the works expanded, administering 236 interviews with hunters in the city of Mezen (Arkhangelsk region) and six municipalities of the Nenets Autonomous District. This representative material revealed actual problems migratory birds’ hunting regulation faces; it uncovered the public opinion about the hunting regulation effectiveness and attitude towards illegal hunting. The project resulted in developing practical recommendations for stakeholders on hunting regulation improvement, incl. the necessity to inform the local community representatives on bans, changes in legislation, and hunting terms. The survey results and the possibilities of their implementation in the regional policy were a part of a seminar held in Naryan-Mar, with the participation of the scientific community and local authorities.